This home is setup for a group of Friends and Family. .I am a very fair person and want you all to have a great time.. I have all new hard flooring, flat screenns through out, couches and furniture,fresh paint with outdoor patio set and grill that is half propane and half charcoal.The home is set on top of a hill with amazing sun and beautiful views of the moon. I have a very clean home and i buy new sheets and towels very often. Its a fresh spot to get away. 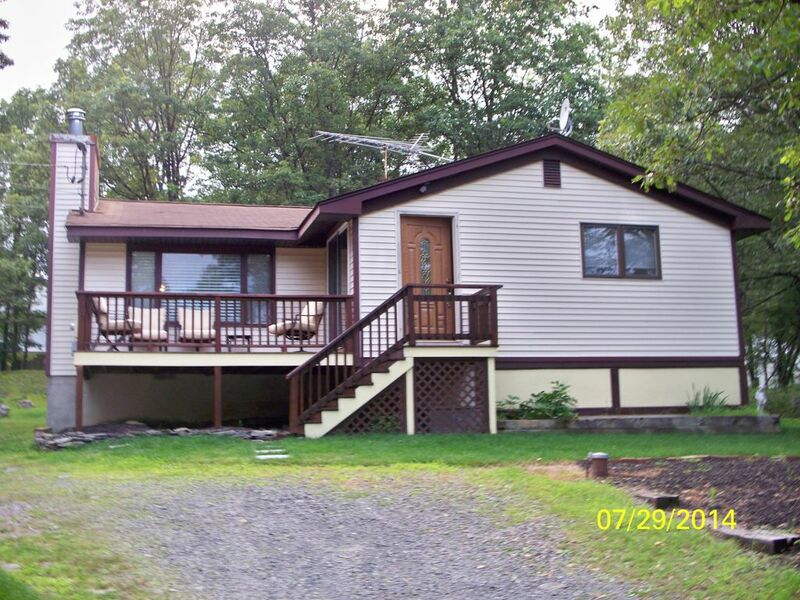 I am a family man who lives in the Poconos and would love to offer any group of friends or families to come and stay at my vacation home. I am 38 years old and been in the Poconos for the past 25 years. I moved from Brooklyn N.Y in 1989 and truly love this area. I hope you will as well. please call me and ask for Greg. I will be happy to answer any questions. I truly believe the comfort of my home in and out will make you feel relaxed and welcomed. I am big on new towels and sheets and good clean smell through out the home!!!! CLEAN AND 1 FOR EVERY GUEST. While Staying At This House Just Call Me And I Will Help You And Tell You Whatever It Is You Need. I Want You To Have Zero Worries While On Your Get Away! Total R&R had everything we needed!! From first communication with Greg to the last day we left he was absolutely tentative and caring! The place was wonderful and we had a great couple days of R&R along with hiking on some of the local trails. Hopefully get to go again sometime I highly recommend it. Everything is as described in the posting. I had a question for the host (Greg) that was answered in a timely matter. Hopefully we find another weekend this summer to come back! No problem happy to hear you guys had a great time. Great place, as described on VRBO. A Confortable house and Greg is supportive to all the needs you might have during the stay. Really recommend the place. We appreciate that Karl. Come again and check out the pools in the summer. Horseback Riding, 2 pools, tennis courts, basketball court, volleyball, playgrounds,skiing and sledding are all included with this rental.